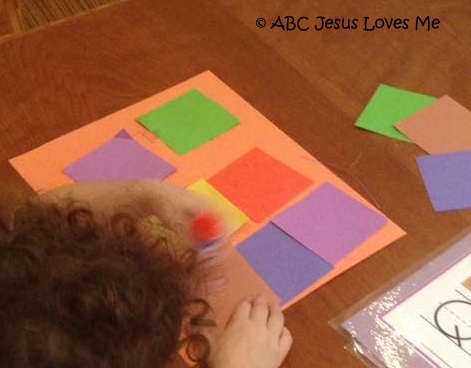 Self-care and Manners: Say "Please" and "Thank You"
- Place a few dollops of yellow and brown paint on the Baby Jesus with the Animals worksheet. Use popsicle sticks to drag the paint across the worksheet. 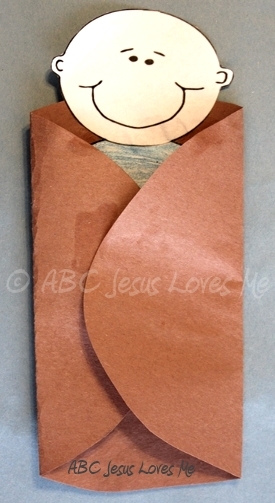 - Cut out the small baby Jesus from the Baby Jesus worksheet. 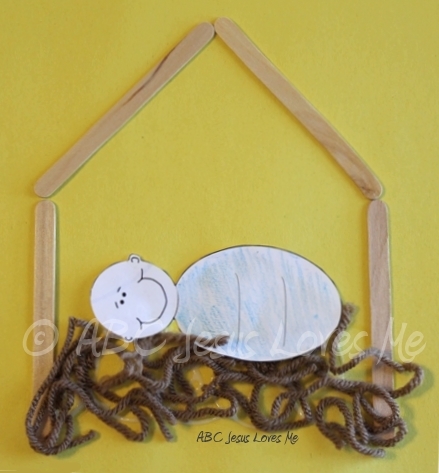 On a piece of construction paper, glue enough small pieces of brown and yellow yarn to form a bed. Glue Baby Jesus into the bed. Glue popsicle sticks around the baby to make a manger. - Make a "Baby in a Hankie" by folding a handkerchief in half, corner to corner. Roll two of the corners of the triangle in towards each other until the rolls touch. Without disturbing the rolls just created, very carefully separate the triangle point. (If you pull too hard the entire thing will fall apart.) Hold the one end while pulling back the other end around the rolls until a cradle is formed. The rolls become a baby. Let the child rock baby Jesus during story time. On a jelly roll pan, fingerpaint using chocolate (brown) and French vanilla (yellow) pudding. Dip graham crackers in the creation for a yummy snack. Focus on "please" and "thank you" this week. 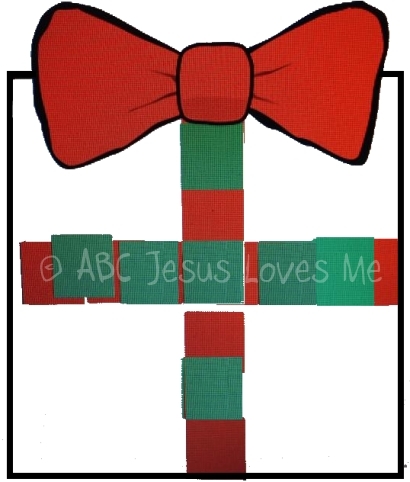 - Use this book to reassure the child how much they are loved by you and God. - Fingerpaint both sides of a paper plate brown. Let dry. Cut out the large baby from the Baby Jesus worksheet and fingerpaint yellow. Let dry. Glue the baby inside the paper plate. Fold the sides of the plate in so as to swaddle the baby. March around the room as you sing "Mary Had a Little Lamb." Add percussion instruments like drums, sticks, and maracas while marching.